You are here: HomenextPeoplenextBusinessesnextWoolshots Dairy Farm. Can we date this photograph? Can anyone recognise any of these hardworking dairyfarmers, and when was this was taken? Picture 1: I believe this farm is on the corner of Church Road (leading to Ramsden Bellhouse) and London Road, Wickford. Picture 2: The second picture below is of a Woolshots Dairy Farm delivery vehicle. 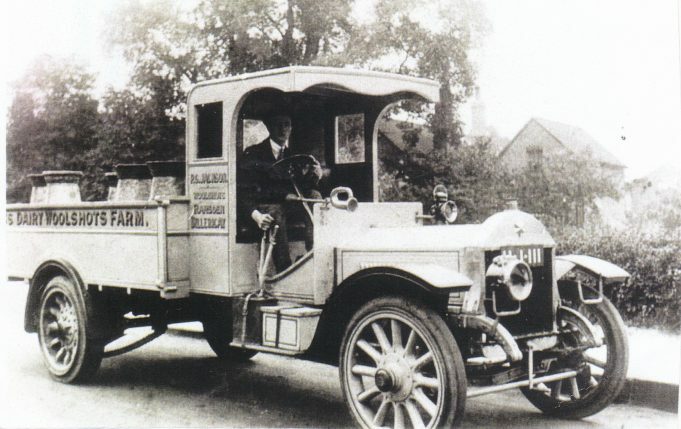 Note that the writing on the lorry in picture 1 says the farm is in Wickford but the text on the lorry in picture 2 says it is in Ramsden Billericay. “Proposals to establish local milk record societies were made in 1914, and in 1928 Woolshots came fifth in a county competition for best-kept milk records, Jackson’s cowman, G. Hazell, winning a special prize of £1 for the best kept records. New rules of hygiene had their effect in these cowmen’s clothing. 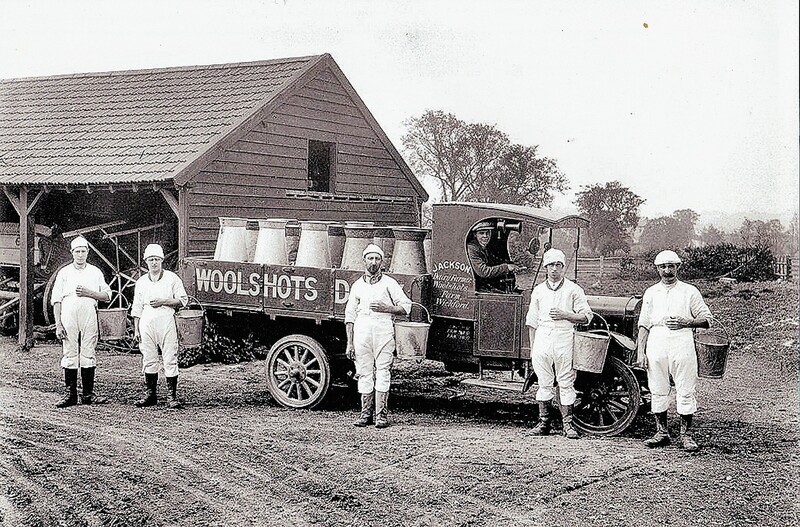 In 1920 Essex had become the first county to hold a clean milk competition. The Milk Marketing Board arrived in 1933, but this photograph was probably of the early twenties”. Extract from the book ‘The World of Fred Spalding’ an eminent Essex photographer.